Nursing is one of the largest professions in the United States with nearly three million people currently employed as Registered Nurses alone. Since the development of modern nursing by Florence Nightingale during the Crimean War in the 1850s, nurses have provided indispensable professional services of care to the injured, ill, and disabled, as well as playing a vital role in preventative care. Even though there are so many nurses at work, this is a career field that is expected to continue growing at a faster than average rate into the future. Nursing is an enormously diverse professional field, and there are career options for people with little more than a high school diploma to options for those with advanced doctoral degrees. People who are drawn to nursing, and who make the best nurses, are those who enjoy helping others, who have a natural talent for, and enjoyment of, the biological sciences, and who also have a good tolerance for stress. People who are helped by nurses include virtually every person who has ever sought medical treatment for any reason. The nursing degree that requires the least amount of training is Nurse’s Aide, also known as a Certified Nurse’s Assistant (CNA). Employment as a CNA requires only a high school diploma followed by a course in medical training that lasts between several weeks to several months. These courses are available through community colleges and specialized vocational schools. Certification as a CNA is granted after the student passes a state administered examination. At the next level are Licensed Practical Nurses (LPN), sometimes also called Licensed Vocational Nurses (LVN). This degree requires a high school diploma plus a one year course of training usually acquired at a community college or vocational school. Passing a state administered exam then results in certification and the ability to practice. Registered Nurses (RN) are the next highest level of training. This degree is usually acquired with an Associate Degree from a two-year college or vocational school. Most RNs work in hospitals, although many also work in other settings including, private clinics, schools, prisons, and for private companies. Graduate degrees in nursing include the Master of Science in Nursing (MSN) at the master’s degree level. Many people with this degree become Nurse Practitioners or Advanced Nurse Practitioners. Some NPs and ANPs work in private practice in association with a physician, doing family and women’s health nursing. Others work in supervisory roles in hospitals and clinics. A Doctor of Nursing is a Ph.D. level degree with two major divisions. The Doctor of Nursing Practice (DNP) is for those who want to work in clinical practice at the highest level of nursing training. There are a number of specialization within this level, as there are at the MSN level as well, including anesthesiology, forensic medicine, and surgery. There is also a Doctor of Nursing Science (DNS) degree that is a Ph.D. graduate degree for nurses who want to become professors of nursing or work in research. An important consideration in choosing a nursing degree program is the accreditation of the college or university. Accreditation is a voluntary option for institutions done by an independent agency. An accredited school is regularly evaluated to be sure that the program they offer meets recognized standards of academic quality. Getting good value for your education in nursing involves more than the cost of nursing school. Accreditation of the school assures that you will be able to transfer credits to another university or college, and it is required for state certification and licensing to practice nursing in almost all cases. Accreditation is done by one of six regional agencies, each one serving a different area of the country. By going to the website for the accreditation agency where the college or university is located, you can check on a particular institution’s accreditation status. The University of California at San Francisco School of Nursing has been in operation since 1907 and has an internationally acclaimed reputation for excellence. UCSF offers a Master’s Entry Program for students who are just starting in their nursing education. This three year program combines the RN and MSN degrees and can be a perfect option for those who are asking, “is getting a BSN worth it?” Tuition plus fees is $22,881 for state residents and $35,126 for nonresidents. The University of Illinois at Chicago is another top ranked college of nursing, offering on online RN to BSN degree for $19,500. UIC has guaranteed tuition, meaning that once you are enrolled, your tuition costs will not increase while you are getting your degree. – Doctoral degree holders had the highest paying jobs in nursing with Chief Nurse Anesthetists making the highest wages in the industry with an average salary of $173,000 a year. While most nurses work directly with patients in hospitals, clinics, nursing homes, schools, prisons, and in-home health care positions, other nursing careers are focused on administrative tasks, supervisory roles, medical record keeping, teaching, and research. 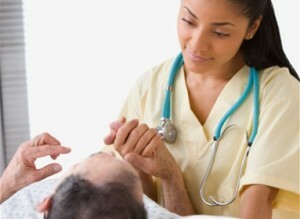 Nursing is one of the most diversified career options of all employment types. For more information about nursing degrees and careers, see our FAQ.